Shhhhhh…I broke my “don’t remove corn kernels from the cob” vow…again! I know I had previously posted that I wouldn’t do it again…but really, this should be okay too because I’m making corn FRITTERS which are like corn pancakes. Yeah! You can eat them at breakfast, lunch, or dinner. Sooo…what’s not to celebrate here? Who’s got two thumbs and loves fritters? This gal! Everyone loves a fritter! 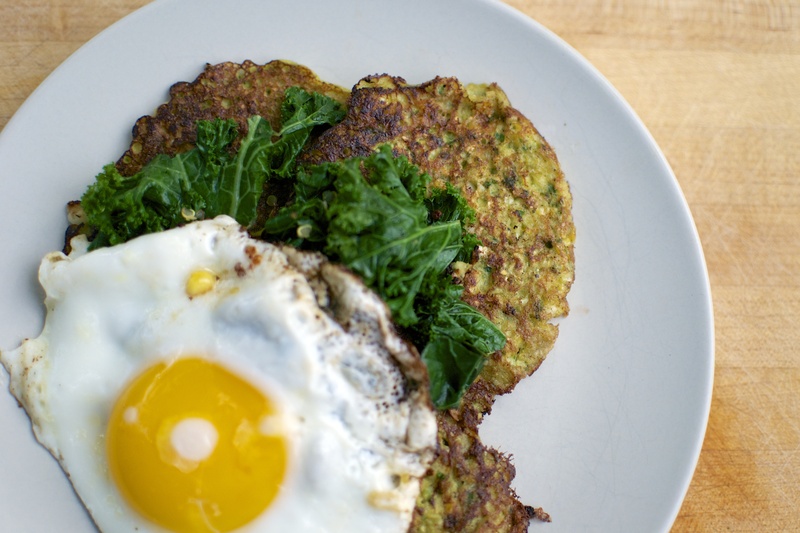 These corn fritters are adapted from the most recent Bon Appetit issue which features Jalapeno-Corn Fritters plus other great recipe ideas for fresh corn. However, my recipe for corn fritters is gluten-free by using 100% stone-ground yellow cornmeal. I also can’t stop myself from adding cilantro to everything in the summer, so that happened too. If you don’t dig cilantro, replace it with chives or scallions. 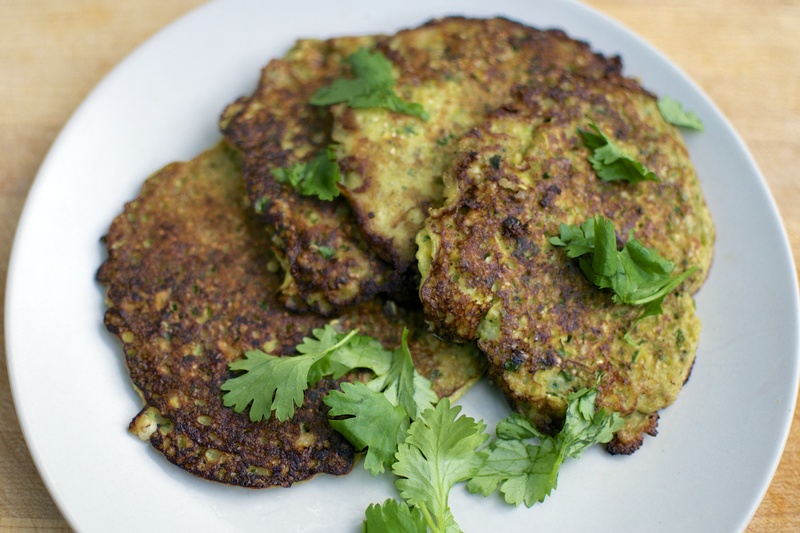 These corn fritters are very very very simple to whip up. Kids adore them! I promise. 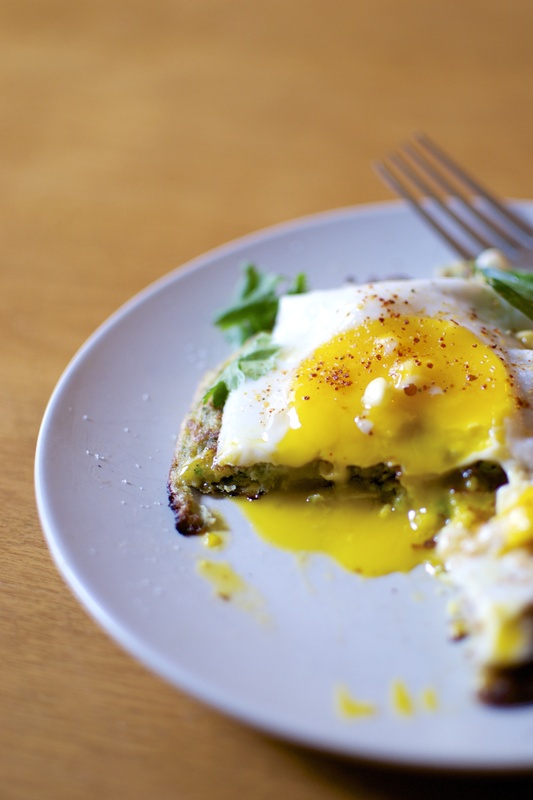 They are great as a base for fried eggs and garlicky greens for breakfast or with a dollop of greek yogurt and paprika as a snack. They also are really good alongside grilled salmon for dinner or spread with butter and honey for anytime of day. ERMERGERD! So get on it! 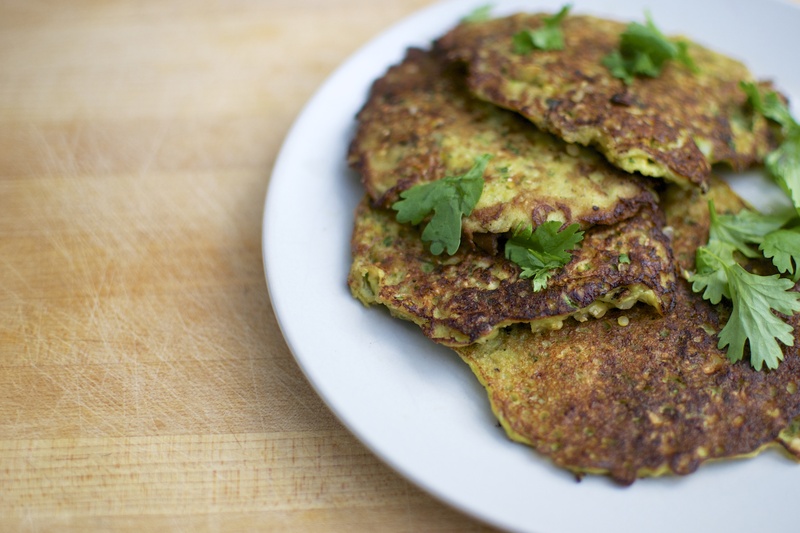 Whip up some corn fritters now and make your mouth happy. Place eggs, cornmeal, cilantro, and garlic into the bowl of a food processor. Processes until well combined and cilantro is finely chopped. Add fresh corn kernels and salt. Pulse about 10 to 15 seconds until corn is chopped consistently but do not puree. 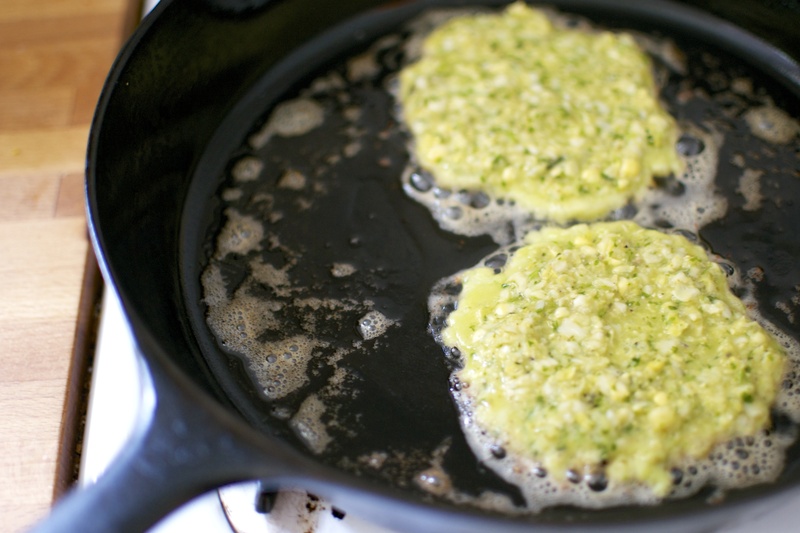 Heat oil or butter in a nonstick or cast iron skillet. Spoon about 1/4 cup of batter into heated skillet. Cook corn fritters on each side for about 4 minutes or until well browned on both sides. You’ve given me an idea–if I made them really tiny would they work as a base like crostini? Me thinks so. Must try this. Whoa! I do believe they may. Except they are not as crisp as costini. More pancake like. Crisp fried polenta rounds would also be a good bet. Oh–hmmm. Crispiness is paramount IMHO. We need sturdiness to hold all those crostini toppings. Polenta make be a better bet. Thanks!